I’m here to speak on behalf of all New York Giants fans that think Odell Beckham Jr. is a god-send, and is worth every penny the organization is expected to pay him. In Beckham Jr.’s rookie season he played 11 games, recording 91 receptions, 1,305-yards and 12 touchdowns. In the three latter seasons he managed 222 receptions, 3119 yards and 26 touchdowns. That’s averaging over 1,000 yards per-year, all while playing in only 4 games (didn’t play the entire game for three of them). Now, the star receiver wants to be the highest paid in the league; even more than Antonio Browns’ four-year, $68 million deal. Seventeen million is allocated per season to Brown. Odell Beckham Jr. wants Eli Manning money, and luckily for him, Manning is on his way out. Within the next two-years Manning will no-longer be a Giant, which is inevitable at his age and current state of ability. 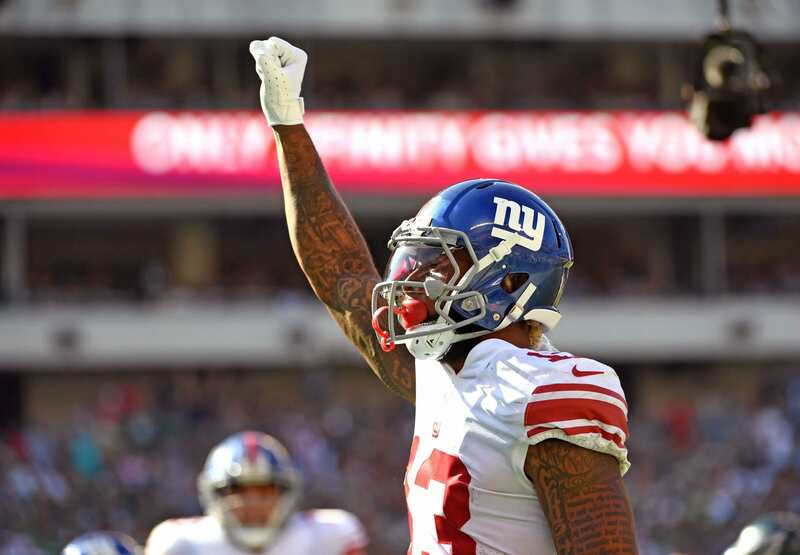 Dave Gettleman and the Giants will likely guarantee upward of $25 million at signing, giving Beckham Jr. the money he requires right off the bat. For example, if we pay him $19 million per-season over four-years with $25 million guaranteed at signing, his cap hit will be $12.75 million; well within reach once Manning and his $20 million per-season contract disappears. So, why should we pay him that money? And what makes him better than Julio Jones, Jarvis Landry, or Deandre Hopkins? The question shouldn’t be what makes him worth more than the other receivers, it should be is he worth more than the next crop from the NFL Draft? There are no receivers entering the draft that are in the realm of any of the receivers listed above, which ads value to Beckham Jr. He’s a generational talent and has the ability to take over a game at any moment, and that’s why he needs to be paid. He’s what makes the offense continue to churn even when all of the pieces around him are falling apart. I know what you’re about to say: But Alex, that makes no sense, the offense was TERRIBLE ‘with’ him last year! You’re right, but Eli Manning had one of his best games during Odell Beckham Jr.’s only full-game played. The Giants haven’t had any balance on offense since Beckham Jr. was drafted in 2014. Once teams figured out OBJ was the team’s strength, they game-planned for him and they STILL couldn’t stop him. With a few additional pieces to the puzzle, including a running game and a solid offensive line, Beckham Jr. will be well worth the investment. P.S. If we let Beckham Jr. walk, who on earth is going to replace him? That will just be ANOTHER problem we have to worry about moving forward.